Our car wash is coming on in leaps and bounds. Despite (in fact, very much because of...) the problem-solving, undoing and iterative frustrations we have already encountered in this project, we are now making fantastic progress. 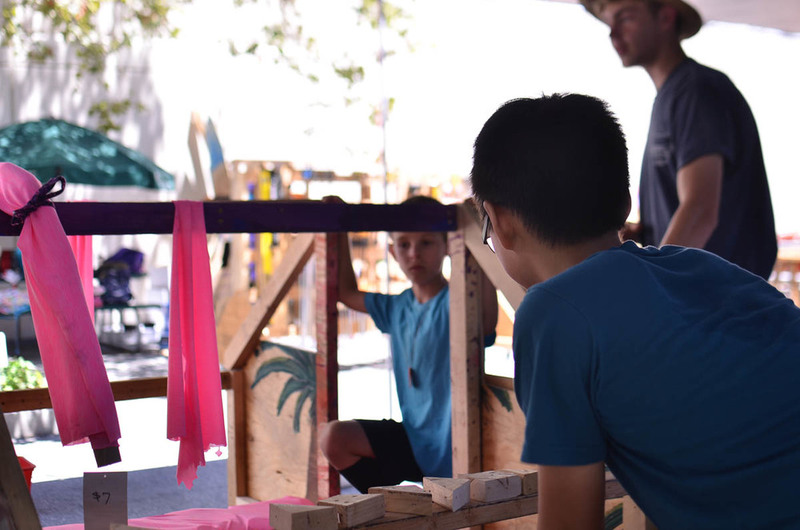 The team working on the first part of our car wash - the Floptopus - have been engineering a sophisticated swinging system with a built in water release mechanism! 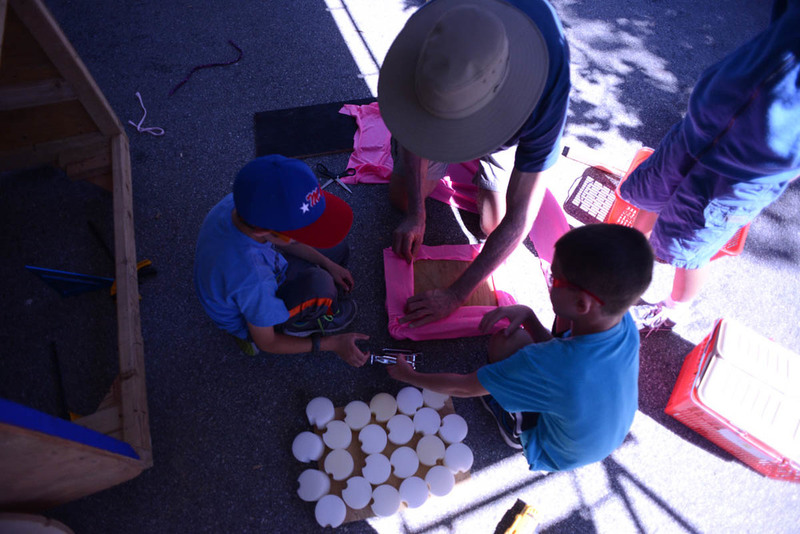 Thursdays provide a unique opportunity for our campers to explore the wide variety of creative resources at RAFT; a particularly exciting prospect when you've got a Floptopus to make! Ella, Asha and Zach delve into the sponge section. 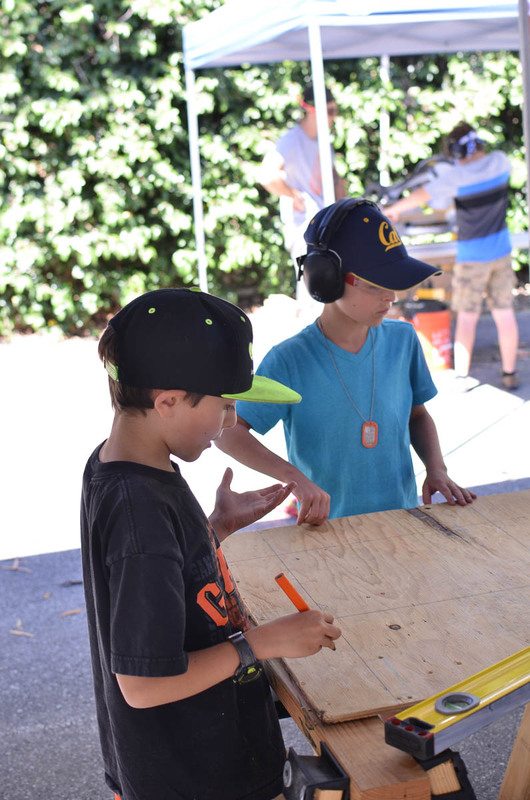 Every day we like to create meaningful learning moments that our campers can build into both their projects and their lives beyond camp. One of the most poignant this week was about the art of undoing. Sometimes the best solution is not to keep pursuing a particular design problem; putting time, effort, resources and materials into finding a mediocre solution that feels unsatisfying, unreliable or just not quite right. Sometimes undoing your work is the answer. It can feel counterintuitive, like all the time you have previously invested is now wasted, but in fact, it often leads to the solution. The 'spinning roller team' have already learnt this valuable lesson this week (see our earlier blog post on fun and frustration). Smiles all round, as the roller team make impressive progress. By understanding earlier pitfalls and in developing a better solution, they have been able to complete the mechanism for all four spinning side rollers and developing designs for an overhead roller system! No car wash would be complete without a way of drying the car, and ours is no exception! The hardworking Busta brothers - Lucas and Logan, have realised their drying system with time to spare and are now working with Team Floptopus. Logan works on a water release contraption. Lucas stringing sponges to embellish the Floptopus. And finally, the car itself. The Tesla team have been working hard to bring their ambitious design to life; encountering a few setbacks along the way. 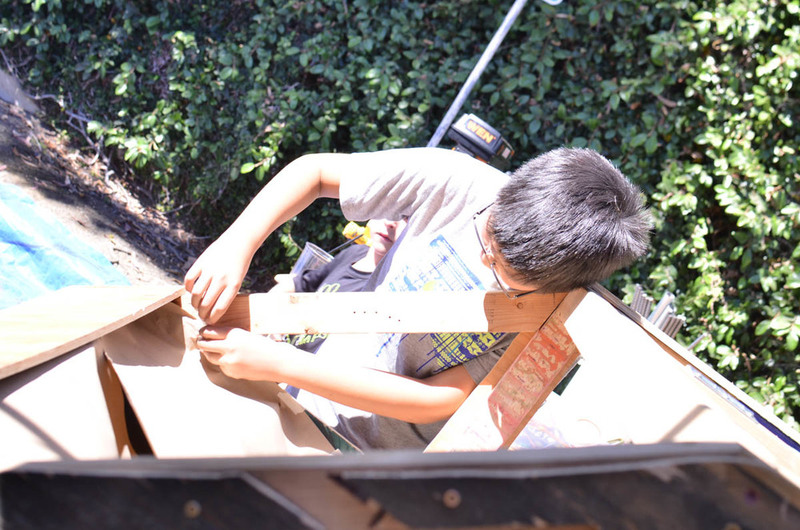 One of the plywood sides suffered a slight injury when part of it snapped off, but the team quickly pulled together and built a strong supporting frame. With a structurally sound vehicle, the team are turning their attention to the aesthetics and comfort of the Tesla experience! Yildiz and Evan problem solving a solution. Devran and Cory attaching the frame and car exterior. Cory continues to build the frame. 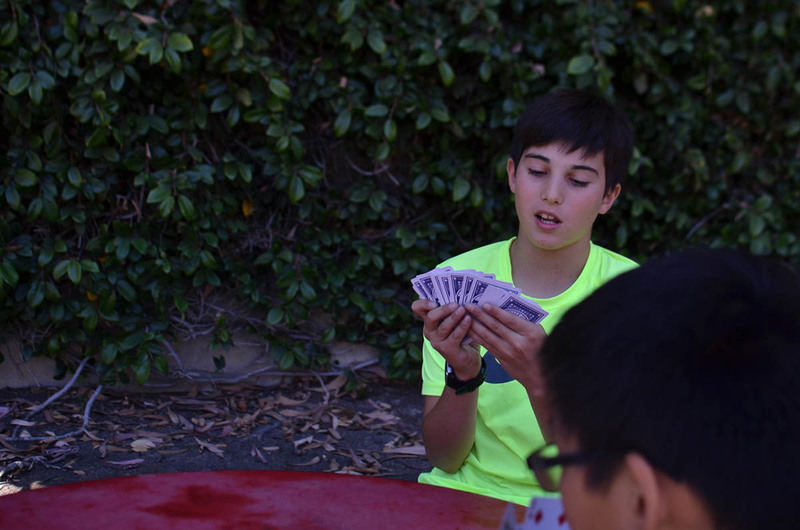 A well deserved break - Devran and Cory enjoy a game of cards at lunchtime. There is just something about sponges today! The Tesla team have also been utilising RAFT's resources to create comfortable seating for the car. With only a short build session standing between us and a fully functioning car wash, the anticipation for tomorrow afternoon is palpable. Please join us for what looks set to be a dynamic day! Newer PostSession E: Working At The Car Wash, Yeah!